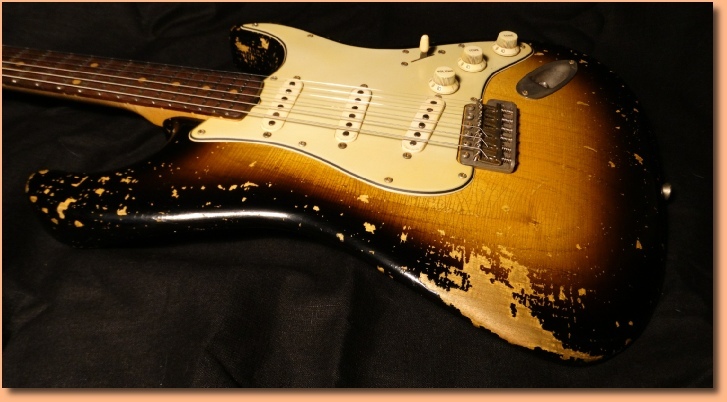 Welcome to the new Bravewood Guitars website, it is still under construction and new items will be added in due course. Bravewood Guitars is the UK’s premier supplier of vintage replica guitars and basses, hand made to exacting detail with a quality that is second to none. 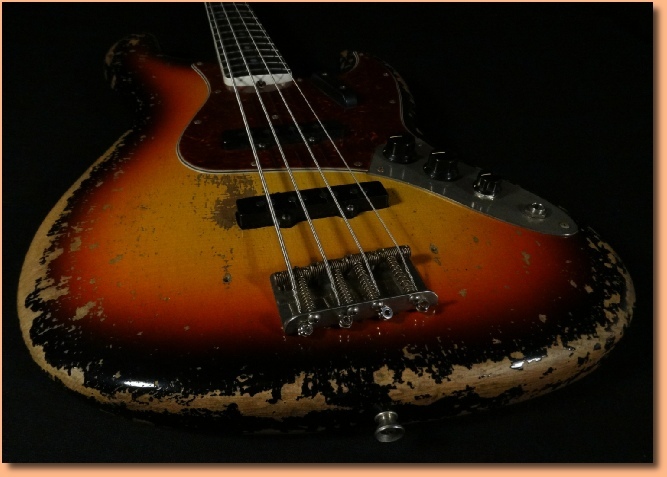 I have long had a passion for Fender® instruments from the ‘50’s and ‘60’s, the instruments were ahead of their time, well made, functional and they just had a certain magic about them that is sadly lacking in a lot of today’s guitars. I have been fortunate enough to own numerous vintage instruments over the years, and have been entrusted with the restoration of many more...I have amassed a considerable knowledge of these instruments and put this to good use when building the guitars I make. I would also stress that I do mean ‘make’, unlike many others in this field, I am not content to buy in ready made bodies and necks, I make my own to ensure I have complete control over the look and feel of the instrument. All images and content of this site is copyrighted to Bravewood Guitars 2002-2017. Do not use anything from this site without permission. Due to CITES regulations introduced the 2nd Jan 2017, I can no longer supply any produces that contain rosewood beyond the UK and EU. Prices are subject to change without notice. In the interest of continual improvement, I reserve the right to change specifications without notice.